CapeRace™ Cultural Adventures and the National Geographic Society are entering the initial stages of discussions with provincial and municipal governments as well as private and not for profit agencies to develop a new Geotourism program for eastern Newfoundland. When approved, the program includes a sweeping community outreach effort to identify and manage critical cultural and natural tourism assets that make up the tourism resource base of Newfoundland tourism industry. Very few destinations possess the coveted combination of untouched natural wonders and wide-ranging unique cultural attractions and recent interest in Newfoundland as a travel destination could put this fragile economic resource base at risk. The National Geographic's Map's Division Geotourism program includes management efforts and training that serve to sustain or enhance the geographical character of a tourist destination, along with its environment, culture, aesthetics, heritage, and the well-being of its residents. CapeRace's acceptance of the Geotourism Stewardship Council Seat tasks the organization with overseeing and advising on the four elements of a geotourism strategy: identifying, sustaining, developing and marketing the geotourism assets of a place. In joining the council, CapeRace will further promote geotourism assets to tourists and be a catalyst for local communities: helping them to discover their own distinctive tourism attractions and providing them with economic benefits and incentives for protecting them. "Geotourism adds to sustainability principles by building on geographical character – a 'sense of place'," said James Dion, National Geographic Society Maps Division. "To create a type of tourism that emphasizes the distinctiveness of its locale and that benefits visitors and residents alike is part and parcel for this organization. CapeRace Cultural Adventures demonstrates strong leadership in this area, and we are pleased to have CapeRace participate as a full partner on this initiative." The province of Newfoundland is largely undiscovered and is becoming a sought after destination by world travelers. 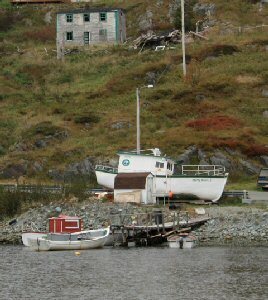 The unique pattern of small isolated settlements along Newfoundland's coastline resulted from actions of the Parliament of England in the seventeenth century to prevent permanent settlement. This action discouraged the type of infrastructure investments found in adjacent Canadian and US maritime locations making Newfoundland's culture distinctive. The ubiquitous intangible cultural heritage found today is the reason visitors to the island have such a profound heart-felt travel experience. This experience combined with Newfoundland's pristine wilderness and unspoiled nature and wildlife creates an in-demand but vulnerable tourist destination, which requires effective stewardship to remain a sustainable economic asset. CapeRace offers an Eco-Culture Experience™ travel product that uses a flexible self-driving, self-catering approach to responsible travel that provides travelers with the opportunity to participate in Newfoundland ecological discovery in a sustainable and responsible way and in a format that supports National Geographic's geotourism goals. The unique CapeRace travel concept includes a custom guidebook supported by a website with newly integrated social media functions that allows for collaboration amongst concerned "geo-travellers" including previous CapeRace travelers, local destination communities as well as environmental and cultural institutions helping to promote sustainable and responsible travel. "We are thrilled to be part of the Geotourism planning and development process," said Ken Sooley, President of Newfoundland-based CapeRace Cultural Adventures. "The preservation of many small outport community cultural assets along with the well-being of its residents is a key part of our overall sustainability and responsible travel strategy for Newfoundland. We are working with National Geographic to ensure our corporate goals are aligned with the emerging global geotourism concepts." 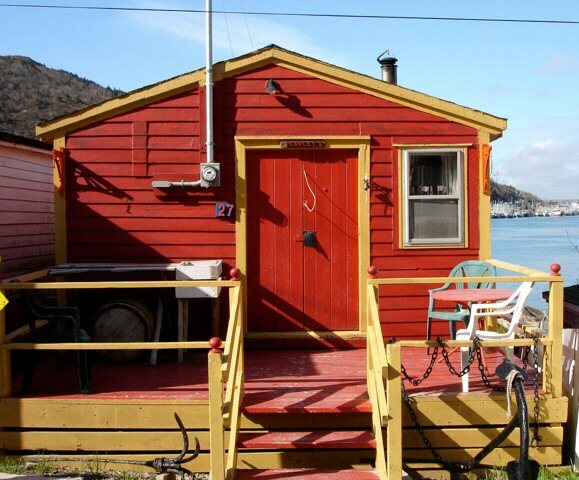 CapeRace Cultural Adventures Inc. is a boutique travel company specializing in upbeat, authentic travel experiences at Canada's most eastern island of Newfoundland. CapeRace is the only travel company that transparently initiates real connections with the local community in a self-guided travel format. With spontaneity as your compass and your energy as your limit, you are sent on a scavenger hunt for colourful people and exotic places in an environment unmatched anywhere in the world. To view the first photo associated with this press release, please visit the following link: http://www.marketwire.com/library/20100531-crca0601photodeckpx800.jpg. To view the second photo associated with this press release, please visit the following link: http://www.marketwire.com/library/20100531-crca0601photohousepx800.jpg. To view the third photo associated with this press release, please visit the following link: http://www.marketwire.com/library/20100531-crca0601photoboatpx800.jpg. Fifth Generation twine loft still stands in the St. John's Harbour. 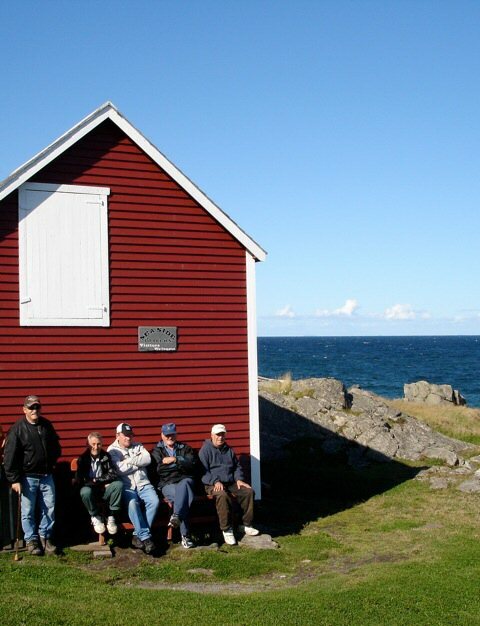 The Seaside Loafers hang out in Bonavista, Newfoundland, the site of John Cabot's landing in 1497. Parliament of England introduced legislation in the seventeenth century to prevent permanent settlement in Newfoundland resulting in a very distinctive culture.